Dr. William Darity, a professor at Duke University and Stanford University has studied reparations in black America for over twenty years is interviewed for this piece. 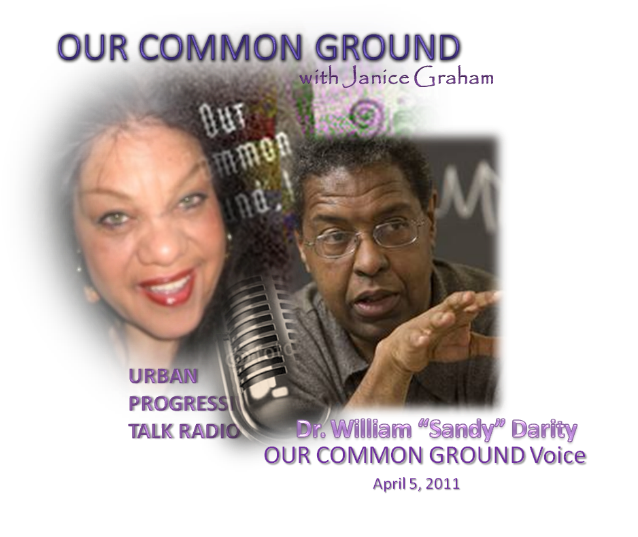 Dr. Darity is an OUR COMMON GROUND Voice. His new book along with co-author Kristen Mullen, From Here to Equality is coming out this Fall and directly addresses how Coates’ prose can become a Congressional reality. No matter how any conversations we have about America’s past, there’s always some sort of obligatory outrage whenever America’s dark history is synthesized, criticized and laid out before mainstream audiences without any filters. For some of us, the stories of America’s past are nothing new, but for others that history 101 failed (or maybe black history 101? ), articles like Ta-Nehisi’s must-read cover story The Case for Reparations is a total eye opener. Coates eloquent essay into America’s past makes the important connection of how the wealth, privilege and white supremacy of the past connect directly to wealth and privilege today. Coates doesn’t directly call for a monetary sum or specific governmental policy to enact reparations, but rather wants to start a national conversation on the topic and it seems, at the very least recognition of the ills that America has wrought far far beyond slavery. Reparations—by which I mean the full acceptance of our collective biography and its consequences—is the price we must pay to see ourselves squarely. The recovering alcoholic may well have to live with his illness for the rest of his life. But at least he is not living a drunken lie. Reparations beckons us to reject the intoxication of hubris and see America as it is—the work of fallible humans. Coates piece, as he hoped, is sparking a debate about whether African Americans are entitled to reparations and how we can turn his idea into a reality. William Darity, a professor at Duke University has studied reparations in black America for over twenty years (If you’re looking for a primer on the subject check his previous work here). His new book along with co-author Kristen Mullen, From Here to Equality, coming out this fall directly addresses how Coates’ prose can become a Congressional reality. I spoke with the professor, who is an advocate for reparations a day after Coates’ article was published. What was your initial reaction to Coates’ essay? I think it’s terrific that Ta-Nehisi was able to use his platform as a prominent journalist to bring the conversation back to this issue because we have ignored it or silenced it for so many years. The last time there was any significant attention drawn to this issue was the beginning of the 2000s, prior to 9-1-1 when there was this set of advertisements that were circulating in colleges attacking reparations. I think this is the first time we got a significant wave of attention that’s being drawn back to reparations. That’s crucial. The other thing I like about the article is its emphasis on the injustices that are associated with the period after slavery, from what I like to call “the deconstruction of Reconstruction” to the Jim Crow period to ongoing discrimination. Why has the idea of reparations been so anathema to the American public? That’s a great question particularly since people are not particularly opposed to reparations for injustices that have been perpetrated against other folks aside from black Americans. We ultimately did have a reparations program for the Japanese Americans that were incarcerated during World War II. We could argue over whether or not the amounts of the compensation were adequate, but there was at least a piece of legislation that was passed and signed by the President at the time. It is interesting that the question of compensation for African Americans tends to draw so much more heat than the compensation for other groups. We can even think about this on an international scale and other instances of injustices. The only answer that I can come up with is that it’s deeply routed in the American psyche about black inferiority and that in some sense blacks must be responsible for their own problems. There have been a lot of positive responses to this piece. Does that mean we’re ready to have this conversation that Coates wants? We’re just recovering from the effects of deluding ourselves into thinking this society has become post-racial as the consequence of a black president. In some respects I think that that has contributed to maintaining a veil over the issues surrounding racial injustice and racial depravation. Now we finally have the political security to talk about these issues, despite the fact that we have a black president, and so maybe partly there’s relatively propitious timing for the article. We’re coming to the end of the Obama presidency. Now is the time to look beyond the Obama era and try to address what needs to be done. I would hope that as Ta-Nehisi proposes in his article that Conyers or a Conyers type of bill for the formation of a congressional commission to explore the history of racial injustice in the United States [would be created]. I would think that would be the critical next step. The prelude to Japanese reparations was the formation of a commission that studied the history of the unjust incarceration that took place in World War II. Who is the one to make this a legitimate conversation? Who is the onus on? Is it the civil rights community? Journalists? Congress? Public intellectuals? I’m not sure I can answer that. There’s part of me that says all of the above. I’m not sure that any particular group has a monopoly or any obligation to make this a legitimate topic of conversation. But, I think that it is important that people don’t dismiss this as fantasy or as something absurd. 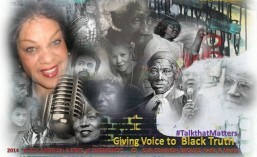 Kirsten Mullen and I are doing a book From Here to Equality it’s about reparations case for black Americans. One of the things we hope to do in the book is to describe in a reasonably detailed way, ways in which you might execute a reparations program and this includes making some judgment about what the magnitude of payments should be, or the magnitude of the total bill, it need not all take the form of payments per say. Without giving away all the solutions in your new book, can you tell me what you think the path is to reparations? I’ve said in my own work that I thought that the legislative path is the correct one. The judicial path hasn’t been particularly fruitful thus far. Even if the judicial path results in a system that supports reparations, a court system has no way of implementing it, so you have to go the legislative route ultimately. The positive thing about the legislative route is it would require a sufficient change in public sentiment, so that there would be adequate support for reparations and people who make the charge that reparations would injure race relations would be wrong, because you wouldn’t have reparations unless there was a sufficient amount of support for it from the white community. Is there any evidence that there is support for this? The absence of support may be lack of information and lack of understanding of how race plays out in our society. Having a congressional commission, that may open up a clear conversation about these issues that might have a very positive effect on peoples attitudes in the rightness of doing this. I think to the extent that Ta-Nehisi Coates’ article reawakens, let me call it “wise conversations,” then that’s the greatest accomplishment that this article could affect. Do you think that support for reparations will be different in the black community than the American public at large? Yes on average, but I’m also aware that there’s a significant portion of the black community that rejects reparations, including the President. It’s about 70 percent of African Americans that are in favor, about 30 percent are opposed. There seemed to be some tension in academic circles that Coates’ article didn’t address or uncover anything new. Why? As academics we place a tremendous premium on who was first to say something and we expect others to indicate who said something earlier. So, I think there may be some frustration on the part of some folks who have done a lot of work on the subject that there’s no mention of their ideas or work in Coates’ article. To be frank, there’s no mention of my work, but I’m so pleased he’s rejuvenated this conversation that I don’t want to invest a lot of time in sour grapes. The article is heavily invested in the experience of Mr. Ross and the North Lawndale community of Chicago. I think that it’s vital to provide a story that people can join with rather than a series of statistics, but I think Mr. Ross’ experience is so deeply rooted in the experiences of thousands of black Americans that you would need to multiply his story many times over to get a full sense of the scope of the injustices. Thanks to Demos for seeking expert review of this most controversial piece and critical issue. Special thanks to Dr. Darity for his persistence and scholastic excellence on the issue. William A. (“Sandy”) Darity Jr. is Arts & Sciences Professor of Public Policy Studies and Economics, Chair of African and African American Studies and director of the Research Network on Racial and Ethnic Inequality at Duke University. He earned the Ph.D. in economics from the Massachusetts Institute of Technology in 1978. He chairs the prestigious National Association of Economist. He is the Samuel DuBois Cook Professor of Public Policy, African and African American Studies, and Economics at Stanford University, and served as chair of the Department of African and African American Studies and is the founding director of the Research Network on Racial and Ethnic Inequality at Duke. He served as co-director of the Institute of African American Research, director of the Moore Undergraduate Research Apprenticeship Program, director of the Undergraduate Honors Program in economics, and director of Graduate Studies at the University of North Carolina. Previously he served as director of the Institute of African American Research, director of the Moore Undergraduate Research Apprenticeship Program, director of the Undergraduate Honors Program in economics, and director of Graduate Studies at the University of North Carolina at Chapel Hill. Darity’s research focuses on stratification economics, inequality by race, class and ethnicity, schooling and the racial achievement gap, North-South theories of trade and development, skin shade and labor market outcomes, the economics of reparations, the Atlantic slave trade and the Industrial Revolution, doctrinal history and the social psychological effects of unemployment exposure. This entry was posted in Government Policies, Higher Education and Scholarship, OUR COMMON GROUND Voices, OUR COMMON GROUND Voices Journal, Racism and White Privilege, Reading and Book Reviews and Recommendations, Reparations and tagged economic justice, reparations, TA-NEHISI COATES, William Darity. Bookmark the permalink.